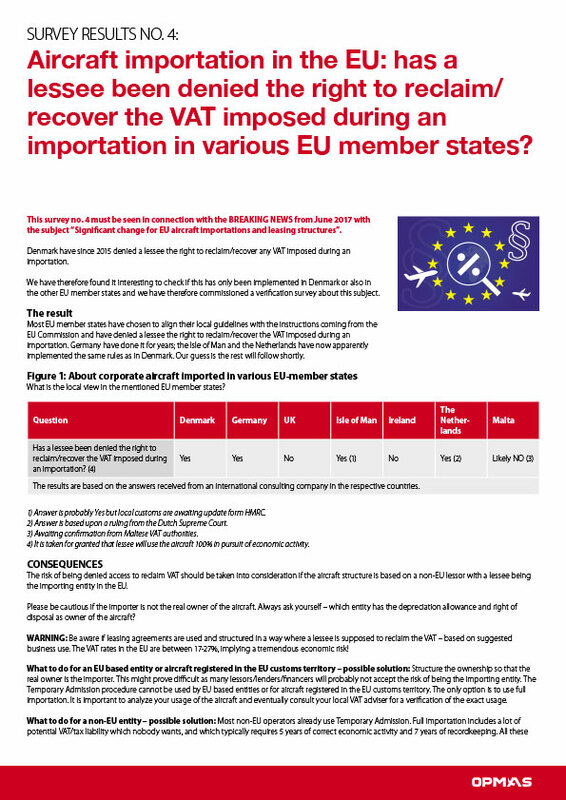 Traditionally, there have been huge differences in local interpretations of various EU customs regulations. 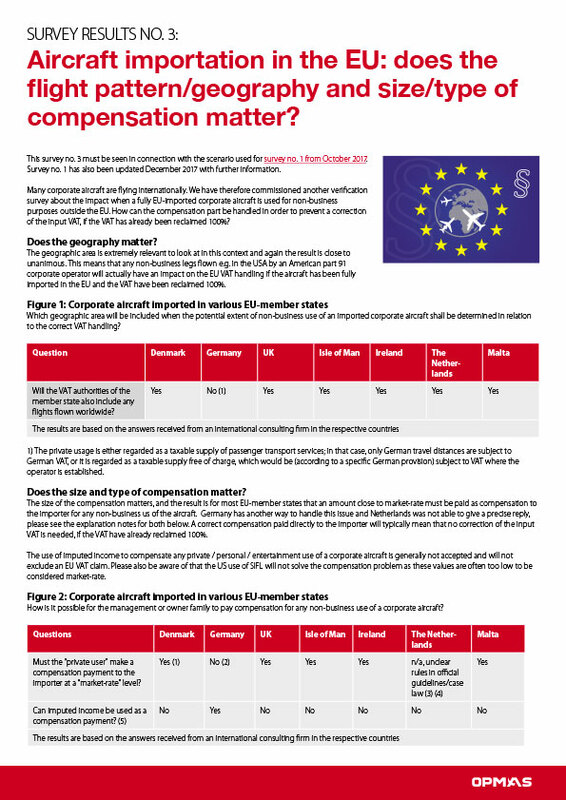 These differences often make it difficult for both EU and non-EU operators to determine right from wrong when flying in the EU as the local interpretations or approaches differ. We have therefore commissioned multiple verification surveys to create a snapshot of relevant importation/admission rules. 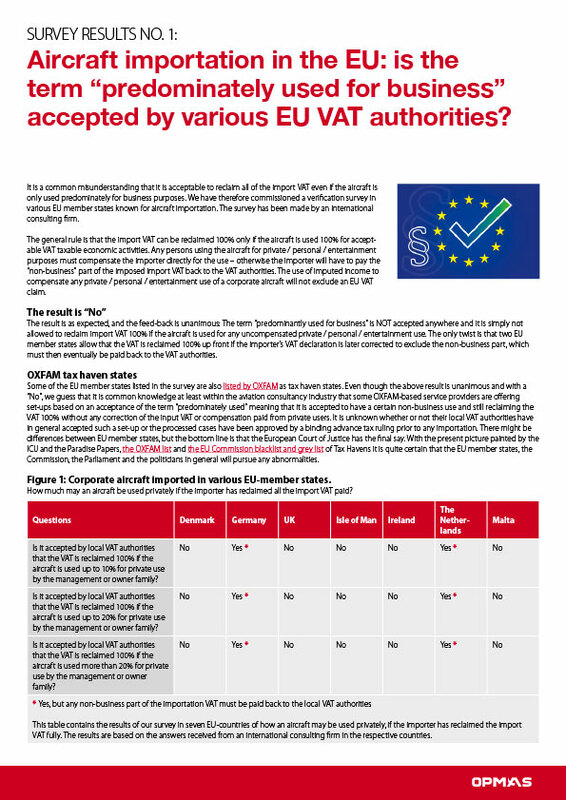 The surveys show that some EU member states and related territories have a somewhat lax practice of very low VAT/customs thresholds or missing implementation of the same, probably in order to attract business from the other EU member states. Operators should exercise caution and if in doubt always ask for a binding assessment ruling by the local authorities. We will continuously add surveys to enlighten operators of EU use and relevant importation/admission rules. Follow us on LinkedIn or sign-up for our newsletter if you want to be notified. Please feel free to suggest any topic for future surveys or if you want information about specific EU member states added. Temporary Admission in the EU: is a supporting form valid for one EU-trip or multiple EU-trips within 6 months? Temporary Admission in the EU: what is the limit for multiple continuous stays at the same place? Temporary Admission in the EU: how is the 6 months period of stay practically interpreted? Temporary Admission in the EU: which entity is allowed to be the declarant? Temporary Admission in the EU: does the nationality of the aircraft registration matter? 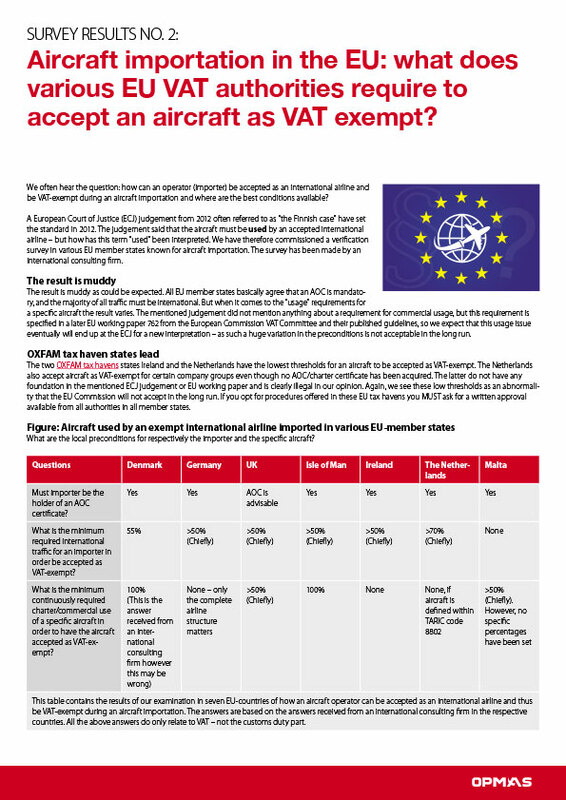 Aircraft importation in the EU: what does various EU VAT authorities require to accept an aircraft as VAT exempt?